Triumphant Victorious Reminders: February 4 ~ February 11, 2010, "Love"
Beautiful words Teresa. Thank you for sharing your heart ponderings as you journal along. 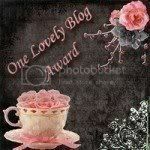 Please stop by my site, I have an award for you. I love this line, "When we become more intimate with God, there is a drawing to become more intimate with others directly from The Heart of God." Tell your sis hello for me. Enjoy your time without a computer! Hi Alisa! Thank you so much for coming by to 'visit'! That blesses me when you do so...I also will say, "Hi" to Jojo for you! Jackie! Thanks for visiting and thanks for the award! 'Old Geezer'! Haahaa! Thanks for coming by to visit and for enjoying the blog!